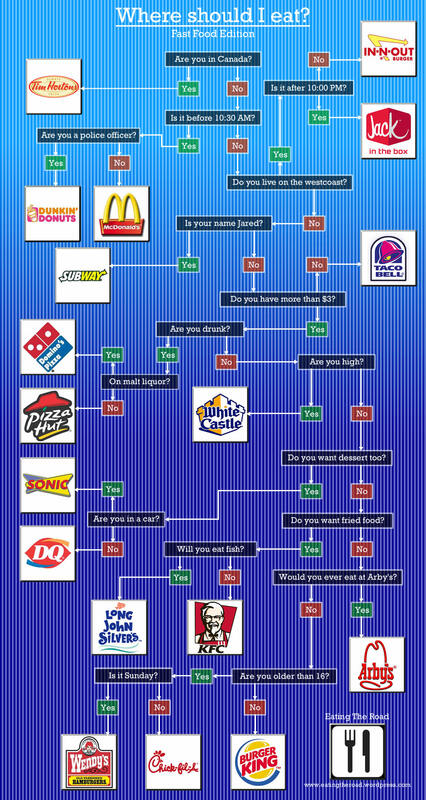 Need Help Deciding Where to Eat? Here’s Your Chart. The original graphic can be accessed by clicking HERE. Credit to "Eating the Road" for this helpful chart.